Trieste-based CAFFE' RICCI prepares its products following traditional Italian recipes from quality 100 % Arabica and Arabica-Robusta roasted coffee blends. Since autumn 2013, the specialty coffee roaster company has been primarily producing and distributing the increasingly popular Nespresso® compatible coffee capsules. 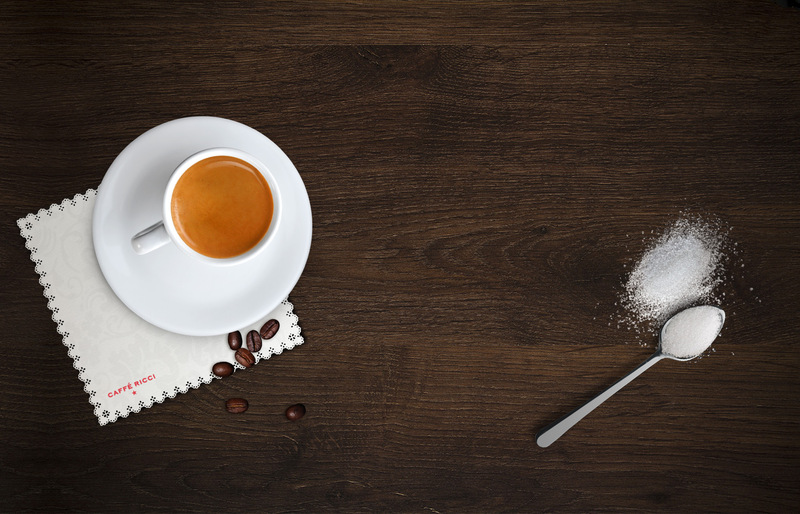 CAFFE' RICCI offers typical Italian blends such as Ristretto, Espresso, Cappuccino, Decaffeinato, Caffe' Lungo, Decaffeinato Lungo, and single origin coffees from the most famous terroirs. The coffee company sells its CAFFE' RICCI brand coffee capsules on the European market exclusively via its eshop. Thank you for your e-mail. We've successfully recorded your registration. Please activate your account by opening the link sent to the given e-mail address. You've successfully subscribed to our newsletter. What types of card can be used for making payment? VISA and MasterCard embossed cards and certain VISA Electron cards. Whether you can use VISA Electron cards for online transactions depends on the bank that issued the card. The VISA Electron cards that are issued by CIB can be used for making purchases online. Which bank cards are suitable for making online payments? All embossed VISA cards and MasterCards/Maestro that have been enabled for online payment by the card-issuing bank, as well as webcards that are specifically designed for online use. Is it possible to pay with shopping cards? It is not possible to make payments online using points-based loyalty cards issued by merchants or service providers. Is it possible to pay with co-branded cards? It is possible to pay using any co-branded card, provided that it is a MasterCard or VISA card suitable for making payments online. What happens at the bank in terms of support processes for online payment? After selecting ‘card’ as the method of payment on the merchant’s/service provider’s website, the person making the purchase initiates the payment, as a result of which he or she is redirected to the bank’s payment page equipped with a secure communication channel. In order to make the payment, you will need to enter the card number, the expiry date of the card, and the 3-digit validation code that is on the signature strip on the reverse side of the card. It is you who starts the transaction; after that, the card undergoes a real-time authorisation process in which the genuineness of the card data, the funds coverage and the purchase limit are checked. If all the data is satisfactory, the transaction can be continued and your account-keeping (card-issuing) bank blocks the payable amount on your card. The amount will be charged to (debited from) your account within a few days, depending on the account-keeping bank. How does buying on the internet using a card differ from conventional card purchases? There are important differences between what are known as ‘card-present’ transactions and ‘card-not-present’ transactions. Card-present transactions take place using a POS terminal. After the card is swiped and the PIN code is keyed in, the terminal contacts the cardholder’s bank via the authorisation centre and, depending on the type and the issuer of the card, through the VISA or MasterCard network. This is where the validity of the card is verified and the coverage check is performed (i.e. where authorisation takes place). The response is sent back along this same path, and thus the POS terminal (or the merchant) receives the authorisation or the rejection. The buyer then signs the sales slip. Card-not-present transactions are where the bankcard is not physically present at the time of processing. These include transactions initiated by way of a posted letter, by phone or electronically (over the internet), where the buyer (cardholder) initiates the transaction by entering the requested card data on a (128-bit encrypted) payment page. Here, you receive an authorisation number related to the successful transaction, which is the same as the number you find on a paper-based sales slip. As soon as the bank is informed of the transaction, reservation (blocking) follows, since for the actual debiting to take place the official data must first arrive, which takes a few days and during this time the money earmarked for the purchase could otherwise be spent on something else. For this reason, the money that has been used for the purchase or withdrawn in cash is separated and ‘reserved’. The reserved amount remains part of the balance of the account, that is, it continues to earn interest, but it cannot be spent again. Reservation ensures that any transactions for which there are no longer sufficient funds are rejected, even though the account balance would otherwise allow the transaction to go through. If the debit instruction does not arrive within the space of a few days, the bank may release the reserved amount, which thus becomes spend able again. When might a transaction be unsuccessful? Generally, these are payment orders that are not accepted by the card-issuing bank (i.e. the bank from where the customer obtained the card), though where bankcards are used, the reason could also be that due to a telecommunication or computer error, the request for authorisation has not reached the card-issuing bank. The card is not suitable for making online payments. The use of the card online has been prohibited by the account-keeping bank. The card has been blocked. The card data (card number, expiry date, code on the signature strip) has been incorrectly inputted. There are insufficient funds on the account for the transaction to be executed. The amount of the transaction exceeds the purchase limit set for the card. There may have been a break in the connection during the course of the transaction. Try again! The transaction was unsuccessful because you were timed out. Try again! If you are not returned from the payment page to the merchant’s or service provider’s website, this means that the transaction has not gone through successfully. If you have been returned from the payment page, but you then go back to the payment page using the browser’s ‘back’, ‘reload’ or ‘refresh’ function, the system will automatically reject your transaction for security reasons. What should you do if the payment procedure is unsuccessful? For all transactions, a transaction identifier is generated, which we recommend you note down. If during the payment attempt the transaction is rejected from the bank’s side, please contact your account-keeping bank. Why do I have to contact my account-keeping bank if the transaction is unsuccessful? During the card-verification procedure the account-keeping (card-issuing) bank sends a note to the merchant’s bank collecting the amount (i.e. the ‘acquirer’ bank), asking if the transaction can be executed. The acquirer bank is not allowed to disclose any confidential information to the customer of another bank, only the bank that identifies the cardholder has the right to do so. What does it mean if I get a text message from my bank about the reservation/blocking of the amount, but the merchant/service provider indicates that the payment was unsuccessful? This can happen if the card was verified on the payment page but you did not return to the merchant’s/service provider’s website. If this is the case, the transaction is regarded as incomplete and is thus unsuccessful. In such cases your card is not debited with the amount and the reservation is released. What do VeriSign and an ‘SSL communication channel with 28-bit encryption’ mean? SSL (which stands for Secure Lockets Layer) is a widely accepted encryption procedure. Our bank has a 128-bit encryption key, which protects the communication channel. The company VeriSign enables CIB Bank to use the 128-bit key, which in turn allows us to provide SSL-based encryption. Currently this encryption method is used in 90% of all e-commerce trade worldwide. With the SSL functionality, the browser software used by the shopper encrypts the cardholder’s data prior to transmission, and thus the data is sent to CIB Bank in a coded form, which ensures that it cannot be deciphered by unauthorised persons. After the payment my browser warned me that I was about to leave the security zone. Is the security of my payment still guaranteed? Yes, absolutely. The payment process takes place on a 128-bit encrypted communication channel, so it is completely secure. After the transaction, you get back to the merchant’s website, and if the merchant’s website is not encrypted, your browser warns you that you have left the encrypted channel. This does not mean that the security of the payment is in any way jeopardized. What is the meaning of the CVC2/CVV2 code? In the case of MasterCard, the ‘Card Verification Code’, and in the case of Visa, the ‘Card Verification Value’, is a coded numerical value stored on the magnetic strip of the card, with which it can be established whether a card does in fact exist and is valid. When shopping online you need to give the CVC2 code, which is the last three digits of the row of numbers that you’ll find on the reverse side of your MasterCard. What does Mastercard SecureCode mean? Holders of MasterCard cards who are registered in the Mastercard SecureCode system choose a password at the card-issuing bank, with which they can identify themselves when shopping online and which helps ensure that their MasterCard cards are not used by unauthorized persons. CIB Bank accepts cards that have been issued within the Mastercard SecureCode system. What does Verified by Visa mean? Holders of Visa cards who are registered in the Verified by Visa system choose a password at the card-issuing bank, with which they can identify themselves when shopping online and which helps ensure that their Visa cards are not used by unauthorized persons. CIB Bank accepts cards that have been issued within the Verified by Visa system. What is the UCAF code? This is a unique code you may have been given by your card-issuing bank in the case of a MasterCard. If you did not receive such a code, leave the field blank. WHERE CAN I BUY CAFFE' RICCI CAPSULES? DO CAFFE' RICCI COFFEE CAPSULES CONTAIN ANY ADDITIVES? CAFFE' RICCI COFFEE CAPSULES CONTAIN ONLY FRESHLY ROASTED GROUND COFFEE AND COFFEE BLENDS FROM THE BEST TERROIRS IN THE WORLD. CAN I USE CAFFE' RICCI COFFEE CAPSULES WITH ANY NESPRESSO® COFFEE MACHINE? YES. CAFFE' RICCI COFFEE CAPSULES ARE COMPATIBLE WITH ALL NESPRESSO® COFFEE MACHINES AVAILABLE IN TRADE. CAN I USE CAFFE' RICCI COFFEE CAPSULES WITH OTHER COFFEE MACHINES? NO. 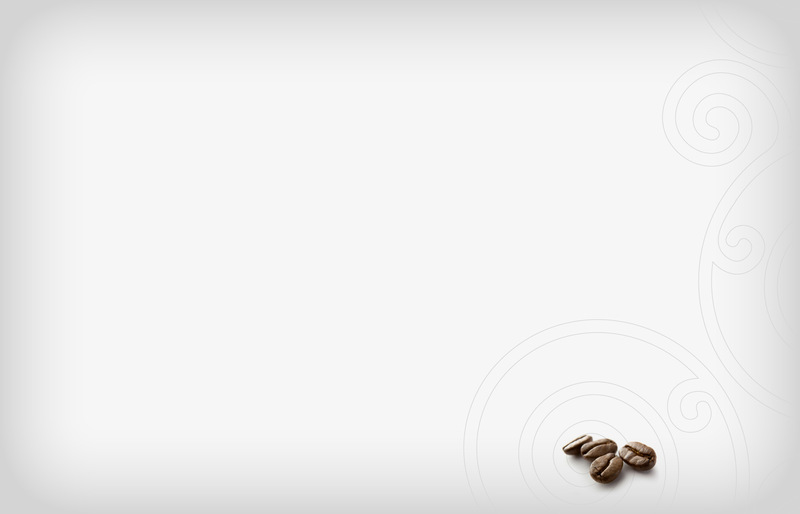 CAFFE' RICCI COFFEE CAPSULES ARE COMPATIBLE WITH NESPRESSO® COFFEE MACHINES EXCLUSIVELY. CAN CAFFE' RICCI COFFEE CAPSULES CAUSE DAMAGE TO MY NESPRESSO® COFFEE MACHINE? NO. CAFFE' RICCI COFFEE CAPSULES ARE COMPATIBLE WITH ANY NESPRESSO® COFFEE MACHINE. PRIOR TO PRODUCTION, WE TESTED OUR CAPSULES ON NESPRESSO® COFFEE MACHINES TO GUARANTEE PERFECT OPERATION AND EXCELLENT QUALITY COFFEE. Our eStore is offering its consumers secure bank card payment provided by CIB Bank. The security relies on the separation of data. With the use of the system the eStore receives only the quantity of the ordered commodity and the delivery address from the consumer, while CIB Bank the card data on a 128-bit SSL secured payment page. The eStore will not be informed about the payment-side data content, they are accessible for CIB Bank only. The bank will inform the eStore if the transaction was successful or not. Your internet-browser must support SSL encryption to use bank card payment solution. The counter-value of the purchased goods, the paid amount will be promptly blocked on your card account. Please read this information carefully. You are welcome in this eStore operated with CIB Bank’s secure, Internet payment solution. You will find below a short description about how you can shop in a safe and reassuring way. Read through the eStore’s information leaflet, the conditions of the purchase and delivery terms. Study the eStore’s security conditions since these will guarantee the security of your data. Note your data relating to your purchase. SSL is an abbreviation for an accepted encryption method called Secure Sockets Layer. This Bank has a 128-bit encryption key to protect the communication channel. A firm named VeriSign makes possible for CIB Bank the use of the 128-bit key, with which we ensure the SSL-based encryption. For the time being this encryption method is used in 90% of global e-commerce. Before transmission, the browser used by the buyer encrypts the card holder’s data with the help of SSL which means they are passed to CIB Bank in a coded form, this way they are indecipherable for unauthorised persons. CIB Bank’s Internet payment system allows the use of cards like Mastercard/Maestro and VISA and VISA Electron (the use of the last one is subject to the permission of the issuing bank), and cards for only internet use. On the page of the eStore you select the goods/services, for which you intend to pay with your bank card. Following that you’re redirected to the webpage of CIB Bank guaranteeing secure payment, where you have to enter your card data to begin the payment. Following this, you’re redirected to CIB Bank’s page guaranteeing secure payment, where you have to enter your card data to start the payment process. Following the payment, you’re directed back to the Store page, where you receive a confirmation about the result of the payment. In the case of bankcard payments, following the successful transaction – this means the approval after the expiry date of the bank card and the coverage are controlled – CIB Bank debits the account of the Card Holder with the countervalue of the goods/services. If you’re not directed back from the payment page to the Store’s website, the transaction qualifies as unsuccessful. If you click on the „Back” of „Refresh” buttons of the browser on the bank’s payment page, or close the browser window before you could be redirected to the store, the payment will qualify as unsuccessful. If you wish to receive more information about the outcome of the transaction, or learn about the causes and details of unsuccessful transactions, please contact your account keeping bank. This Policy applies as between you, the User of this Website and Caffe Ricci UK the owner and provider of this Website. This Policy applies to our use of any and all Data collected by us in relation to your use of the Website. This Policy applies only to the actions of Caffe Ricci UK and Users with respect to this Website. It does not extend to any websites that can be accessed from this Website including, but not limited to, any links we may provide to social media websites. 3.1 This Website does not collect Data about our Users by any means unless you contact Caffe Ricci UK via an email link which is included in the Website. This Website does not place cookies on your computer and does not use any other means of data collection including, but not limited to, forms. 3.2 From emails we may collect your name, your email address and any other information which you opt to supply. 4.1.5 contact for market research purposes which may be done using email. Such information may be used to customise or update the Website. safeguard and secure Data collected via this Website. on your first use of the Website following the alterations. This agreement applies as between you, the User of this Website and Caffe Ricci UK the owner of this Website. If you do not agree to be bound by these Terms and Conditions, you should stop using our Website. Caffe Ricci UK is only operating and sending merchandise in the United Kingdom. 3.1 Subject to the exceptions in Clause 6 of these Terms and Conditions, all Content included on the Website, unless uploaded by Users, including, but not limited to, text, graphics, logos, icons, images, sound clips, video clips, data compilations, page layout, underlying code and software is the property of CAFFE RICCI UK, Our affiliates or other relevant third parties. By continuing to use the Website you acknowledge that such material is protected by applicable United Kingdom and international intellectual property and other laws. 3.2 Subject to Clause 7 you may not reproduce, copy, distribute, store or in any other fashion re-use material from the Website unless otherwise indicated on the Website or unless given Our express written permission to do so. 4.1 Unless otherwise expressly indicated, all Intellectual Property rights including, but not limited to, Copyright and Trademarks, in product images and descriptions belong to the manufacturers or distributors of such products as may be applicable. 4.2 Subject to Clause 7 you may not reproduce, copy, distribute, store or in any other fashion re-use such material unless otherwise indicated on the Website or unless given express written permission to do so by the relevant manufacturer or supplier. This Website may contain links to other sites. Unless expressly stated, these sites are not under the control of Caffe Ricci UK or that of Our affiliates. We assume no responsibility for the content of such websites and disclaim liability for any and all forms of loss or damage arising out of the use of them. The inclusion of a link to another site on this Website does not imply any endorsement of the sites themselves or of those in control of them. 8.1.7 You must not use Our System for unauthorised mass-communication such as “spam” or “junk mail”. 8.2 You acknowledge that Caffe Ricci UK reserves the right to monitor any and all communications made to Us or using Our System. 8.3 You acknowledge that Caffe Ricci UK may retain copies of any and all communications made to Us or using Our System. 8.4 You acknowledge that any information you send to Us through Our System may be modified by Us in any way and you hereby waive your moral right to be identified as the author of such information. Any restrictions you may wish to place upon Our use of such information must be communicated to Us in advance and We reserve the right to reject such terms and associated information. 9.1.3 you will keep this information accurate and up-to-date. 9.2 It is recommended that you do not share your Account details, particularly your username and password. We accept no liability for any losses or damages incurred as a result of your Account details being shared by you. If you use a shared computer, it is recommended that you do not save your Account details in your internet browser. 9.3 If you have reason to believe that your Account details have been obtained by another person without consent, you should contact Us immediately to suspend your Account and cancel any unauthorised purchases that may be pending. Please be aware that purchases can only be cancelled until they are dispatched. In the event that an unauthorised purchase is dispatched prior to your notifying Us of the unauthorised nature of the purchase, we would fully refund your fraud purchase cost. 9.4 When choosing your username you are required to adhere to the terms set out above in Clause 10. Any failure to do so could result in the suspension and/or deletion of your Account. 10.1 Either Caffe Ricci UK or you may terminate your Account. If We terminate your Account, you will be notified by email and an explanation for the termination will be provided. Notwithstanding the foregoing, We reserve the right to terminate without giving reasons. 10.2 If We terminate your Account, any current or pending purchases on your Account will not be cancelled and will not be dispatched. 10.3 We reserve the right to cancel purchases without stating reasons, for any reason prior to processing payment and dispatch. 10.4 If purchases are cancelled for any reason prior to dispatch you will be refunded any sums paid in relation to those purchases within 14 calendar days. 10.5 If you terminate your Account, any non-dispatched purchases will be cancelled and you will be refunded any monies paid in relation to those purchases within 14 calendar days. 11.1 Whilst every reasonable effort has been made to ensure that all graphical representations and descriptions of Goods available from Us correspond to the actual Goods, We are not responsible for variations from such descriptions. This does not exclude Our liability for mistakes due to negligence on Our part and refers only to minor variations of the correct Goods, not different Goods altogether. Please refer to Clause 15.1 for incorrect Goods. 11.2 All pricing information on the Website is correct at the time of going online. We reserve the right to change prices and alter or remove any special offers from time to time and as necessary. All pricing information is reviewed and updated every once in a month. 11.3 In the event that prices are changed during the period between an order being placed for Goods and Us processing that order and taking payment, price changes doesn’t affect any pending placed orders. 11.4 There is no VAT on coffee products. There is VAT only for accessories. Caffe Ricci UK Limited’s VAT number is 197 4151 82. 12.1 No part of this Website constitutes a contractual offer capable of acceptance. Your order constitutes a contractual offer that We may, at Our sole discretion, accept. Our acceptance is indicated by Us sending to you an order confirmation email. Only once We have sent you an order confirmation email will there be a binding contract between Caffe Ricci UK and you. 12.3 Order confirmations shall also be enclosed on paper with your Goods. 12.4 If We, for any reason, do not accept your order, no payment shall be taken under normal circumstances. In any event, any sums paid by you in relation to that order will be refunded within 14 calendar days. 12.5 All Goods purchased by you will be delivered within 10 calendar days of Our order confirmation unless otherwise agreed. 12.6 The risk in the Goods shall remain with Us until they come into your physical possession. Caffe Ricci UK aims to always provide high quality Goods that are fault free and undamaged. On occasion however, Goods may need to be returned. Returns are governed by these Terms and Conditions. 13.1 If you receive Goods, which do not match those that you ordered, you should contact Us within 14 calendar days to arrange collection and return. We are fully responsible for paying shipment costs. Goods must be returned in their original condition with all packaging and documentation. The packaging does not need to be unopened. Refunds will be issued in any event no later than 30 calendar days after receipt of the returned Goods and will include standard delivery charges. We regret that additional costs such as express delivery and gift-wrapping cannot be refunded. 13.2 If Goods are damaged in transit and the damage is apparent on delivery, you should sign any applicable delivery note to the effect that the Goods have been damaged. To return the damaged Goods, please contact Us within 14 calendar days to arrange collection and return. We are fully responsible for paying shipment costs. You will be given the option to have the Goods replaced or to be refunded through the payment method used by you when purchasing the Goods. Replacements will be issued upon Our receipt of the returned Goods. Refunds will be issued no later than 30 calendar days after receipt of the returned Goods and will include standard delivery charges. We regret that additional costs such as express delivery and gift-wrapping cannot be refunded. 13.3 If any Goods you have purchased have faults when they are delivered to you, you should contact Us within 14 calendar days to arrange collection and return. You will be given the option to have the Goods replaced or to be refunded through the payment method used by you when purchasing the Goods. We are fully responsible for paying shipment costs. Replacements will be issued upon Our receipt of the returned Goods. Refunds will be issued in any event no later than 14 calendar days after receipt of the returned Goods and will include standard delivery charges. We regret that additional costs such as express delivery and gift-wrapping cannot be refunded. 13.4 If you are a consumer based within the European Union, you have a statutory right to a “cooling off” period. This period begins once your order is complete and ends 14 calendar days after the Goods have been delivered to you. If the Goods are delivered to you in instalments, the 14 calendar day period begins on the day that you receive the final instalment. If you change your mind about the goods within this period, please inform Us within 14 calendar days of receipt. Goods must be returned to Us within 14 calendar days of the day on which you inform Us that you wish to return the Goods. You are responsible for paying return shipment costs if Goods are returned for this reason. Refunds will be issued in any event no later than 14 calendar days after you inform Us that you wish to cancel under this provision and will include standard delivery charges. We regret that additional costs such as express delivery and gift-wrapping cannot be refunded. 13.5.6 Any use or enjoyment that you may have already had out of the Goods beyond handling them to the extent necessary to establish the nature, characteristics and functioning of them (such as you would, for example, handle a display item in a shop). Please note that opening packaging does not prevent you from returning Goods unless the Goods fall under sub-Clauses 15.7.3 or 15.7.5 and in any event does not include the opening of delivery packaging, only the packaging of the product itself. 14.3 You may wish to delete cookies which have already been placed. For instructions on how to do this, please consult your internet browser’s help menu. 15.1 All personal information that We may collect (including, but not limited to, your name and address) will be collected, used and held in accordance with the provisions of the Data Protection Act 1998 and your rights under that Act. 15.2.3 Inform you of new products and services available from Us. You may request that We stop sending you this information at any time. 15.3 In certain circumstances (if, for example, you wish to purchase Goods on credit), and with your consent, We may pass your personal information on to credit reference agencies. These agencies are also bound by the Data Protection Act 1998 and should use and hold your personal information accordingly. 15.4 We will not pass on your personal information to any other third partie without first obtaining your express permission. 16.1 We make no warranty or representation that the Website will meet your requirements, that it will be of satisfactory quality, that it will be fit for a particular purpose, that it will not infringe the rights of third parties, that it will be compatible with all systems, that it will be secure and that all information provided will be accurate. We make no guarantee of any specific results from the use of Our services. 16.2 No part of this Website is intended to constitute advice and the Content of this Website should not be relied upon when making any decisions or taking any action of any kind. 16.3 No part of this Website is intended to constitute a contractual offer capable of acceptance. 16.4 Whilst We use all reasonable endeavours to ensure that the Website is secure and free of errors, viruses and other malware, you are strongly advised to take responsibility for your own internet security, that of your personal details and your computers. 18.1 The Website and any Service provided therein is provided “as is” and on an “as available” basis. We give no warranty that the Website or any Service will be free of defects and / or faults. To the maximum extent permitted by the law We provide no warranties (express or implied) of fitness for a particular purpose, accuracy of information, compatibility and satisfactory quality. 18.2 We accept no liability for any disruption or non-availability of the Website resulting from external causes including, but not limited to, ISP equipment failure, host equipment failure, communications network failure, power failure, natural events, acts of war or legal restrictions and censorship. 19.1 To the maximum extent permitted by law, We accept no liability for any direct or indirect loss or damage, foreseeable or otherwise, including any indirect, consequential, special or exemplary damages arising from the use of the Website or any information contained therein. You should be aware that you use the Website and its Content at your own risk. 19.2 Nothing in these Terms and Conditions excludes or restricts Caffe Ricci UK’s liability for death or personal injury resulting from any negligence or fraud on the part of Caffe Ricci UK. 19.3 Nothing in these Terms and Conditions excludes or restricts Caffe Ricci UK’s liability for any direct or indirect loss or damage arising out of the incorrect delivery of Goods or out of reliance on incorrect information included on the Website. 19.4 In the event that any of these terms are found to be unlawful, invalid or otherwise unenforceable, that term is to be deemed severed from these Terms and Conditions and shall not affect the validity and enforceability of the remaining Terms and Conditions. This term shall apply only within jurisdictions where a particular term is illegal. Nothing in these Terms and Conditions shall confer any rights upon any third party. The agreement created by these Terms and Conditions is between you and Caffe Ricci UK. 23.1 All notices / communications shall be given to Us either by post to Our Premises (see address above) or by email to info@caffericci.co.uk . Such notice will be deemed received 3 days after posting if sent by first class post, the day of sending if the email is received in full on a business day and on the next business day if the email is sent on a weekend or public holiday. 23.2 We may from time to time, if you opt to receive it, send you information about Our products and/or services. If you do not wish to receive such information, please click on the unsubscribe link below the e-mail. These Terms and Conditions and the relationship between you and Caffe Ricci UK shall be governed by and construed in accordance with the Law of England and Wales and Caffe Ricci UK and you agree to submit to the exclusive jurisdiction of the Courts of England and Wales.